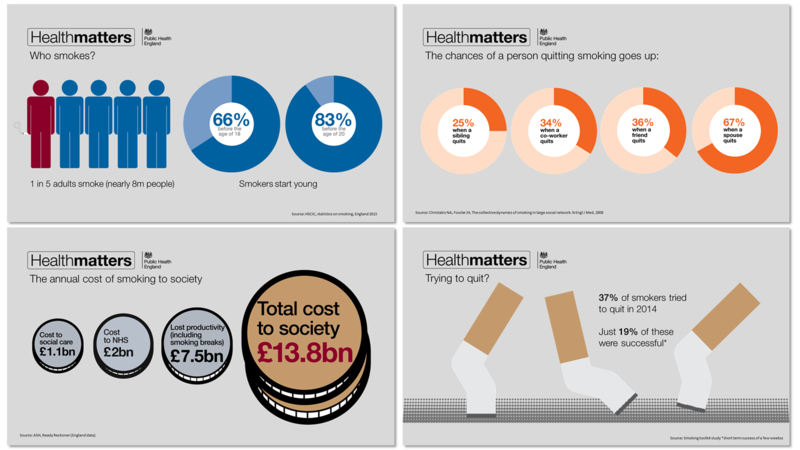 Welcome to PHE’s Health Matters, a new resource for public health professionals, which brings together important facts, figures and evidence of effective (and cost-effective) interventions to tackle major public health problems. In creating Health Matters, we’ve been inspired and helped by our US colleagues at the Centers for Disease Control and Prevention and their influential Vital Signs monthly reports. In the first year, we’ll aim to publish a new Health Matters every eight weeks. This launch issue focuses on smoking cessation. Future Health Matters will cover topics such as obesity, early years, dementia, antimicrobial resistance and alcohol, among others. 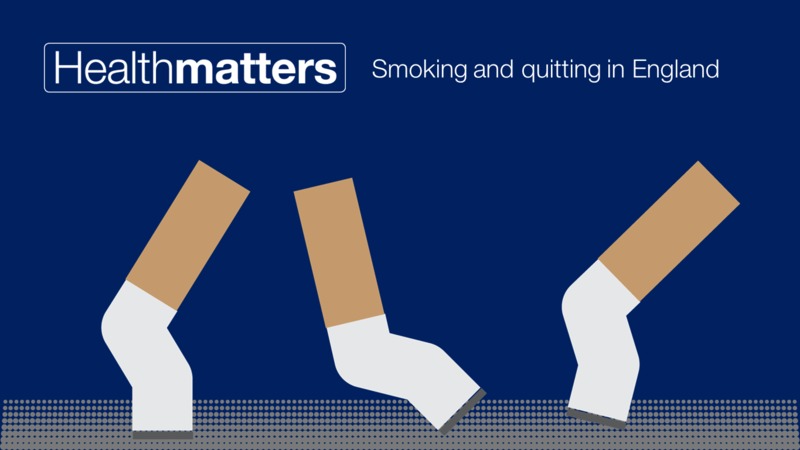 We’ve created Health Matters as a way of putting in your hands and on your screens useful and engaging material that we hope will help you to make the case for effective action. In designing this new material, we’ve focused on three things. First, we want Health Matters to reflect the range of PHE’s health improvement offering. That’s why we’ve included population data on smoking, as well as policy and programme expertise, and campaigning and social marketing resources. We believe there’s value in presenting this package of knowledge and intelligence in one place (you can sign up to our e-bulletin to keep receiving the latest information - select 'add subscriptions'). Second, we’ve tried to design the messages and key facts in engaging and easy-to-use formats. We hope you’ll take the infographics, the slides, the video clips, the tobacco control resources, the case studies and share them with your stakeholders. If the data we’ve presented help you in your briefings and presentations, then Health Matters will be doing its job. Here are some examples (below) of downloadable graphics from our launch issue and you can find all of the resources on GOV.UK. Third, we’d like Health Matters to be a two-way street. We’ve heard from our stakeholders that they’d like more targeted and usable support and more practical advice on what works and what doesn’t. We also know that local leaders value their links with the national public health agenda. Health Matters is part of our effort to respond to this feedback. We’ve specifically designed Health Matters so that it includes both national and local level data; case studies of local tobacco control as well as national policy issues. We’d love to hear your thoughts about the type of content we’ve chosen to include, where you think the gaps are and how well we’re presenting the materials. Please let us know how we can improve the product so that Health Matters can help you to make a difference.